Born in Hetton-le-Hole, Mantle started out locally in the north-east with Spennymoor Juniors and Hetton Juniors before his chance to make the grade with Burnley in 1927. In a three-year spell, the centre-forward scored a highly respectable 22 goals in just 50 appearances. He made the move to Home Park in 1930, after Burnley's demotion from the top flight, but made just 15 appearances spread over two seasons, scoring seven. He left Home Park in 1932 and signed for League new boys Chester City, who had replaced Nelson in the Third Division (North) the year before. It proved a wise move as he netted a remarkable 63 times in 74 games before moving to Carlisle United in 1935, where he played 55 times, scoring 38 goals. 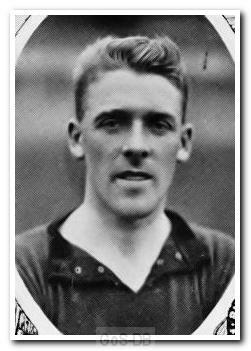 He then moved to Stockport County in 1936 before a brief spell in Scotland with Heart of Midlothian. He then wound down his League career in 1939 with two games for Hartlepools United.